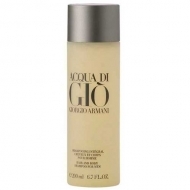 Giorgio Armani Gio Homme Aftershave moisturizes and protects the face, leaving it fresh with the aquatic woody scent of Acqua di Gio.Armani. Mitigates razor burn and irritations as extends smoothness. For all skin types. 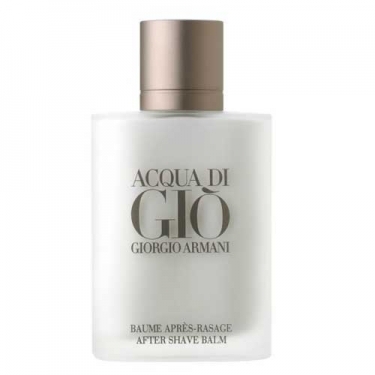 Giorgio Armani Acqua de Gio Homme After Shave Balm is a soothing balm to calm skin after shaving. Due to its fine texture, Armani Aftershave Balm is quickly absorbed to moisture and smooth skin. Gently fragranced. Giorgio Armani Gio Homme Aftershave moisturizes and protects the face, leaving it fresh with the aquatic woody scent of Acqua di Gio Armani. Mitigates razor burn and irritations as extends smoothness. For all skin types.